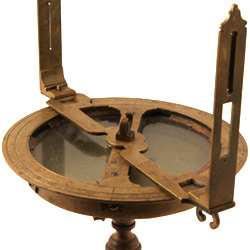 This unique surveyor's compass was designed to be disassembled for needle replacement. 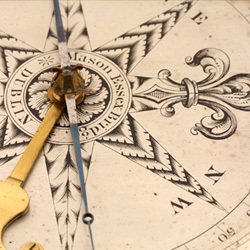 The sight vanes, glass, and needle are correct period replacements. The original glass cover is signed "Charles Moosley" with a third word I have not been able to decipher. 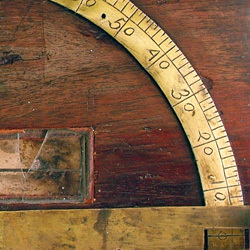 It measures 11 3/4 inches long with a 6 inch compass box and 6 inch sight vanes. It also has a one-off unsigned, engraved compass card. 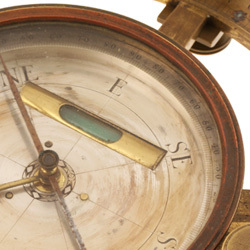 Similar compass, but not of a disassembled design, is in the Winterthur collection.